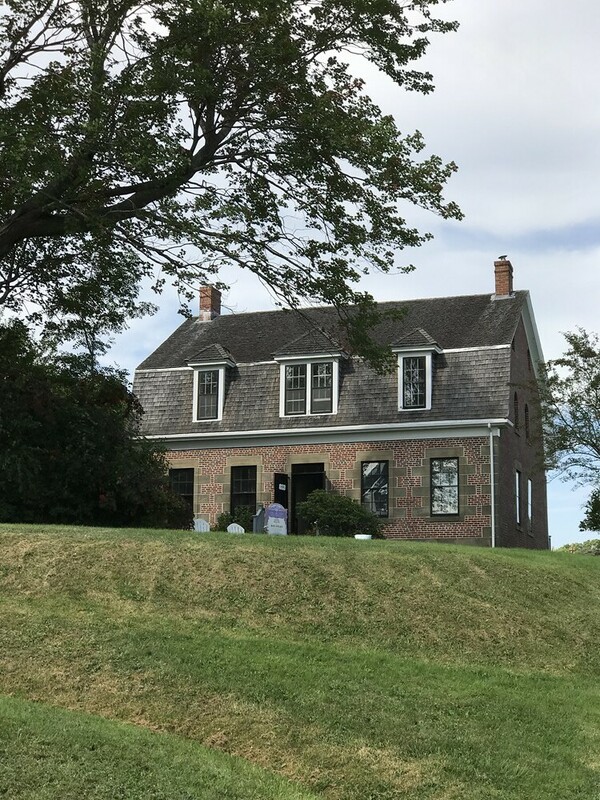 I recently did an interesting and insightful wander through the McCulloch House Museum operated by the Pictou County Geneology and Heritage Society. Welcome to week 348 (10/26/2017) of Travel Photo Thursday. Sorry I missed last week. My blood pressure is acting up, so had to cut down on my computer time. 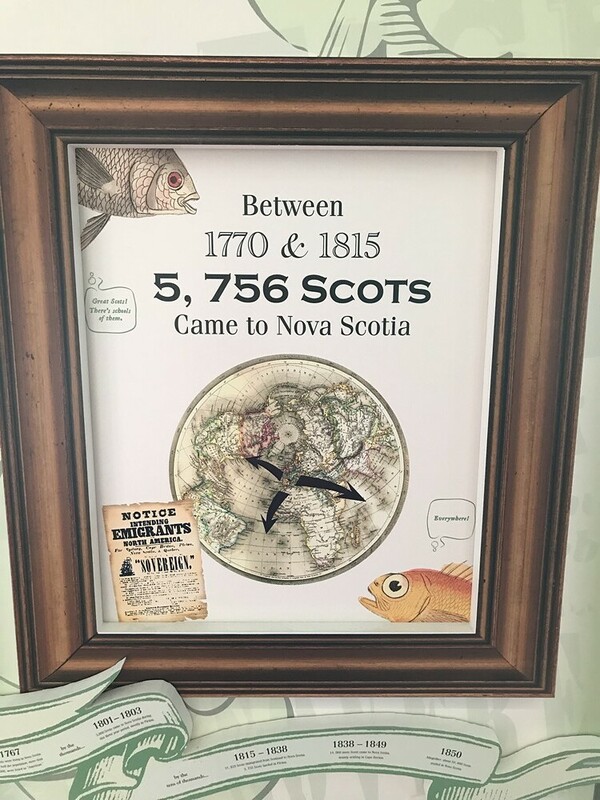 Come along as we visit the McCulloch House Museum and learn more about Pictou’s and Nova Scotia’s Scottish roots. 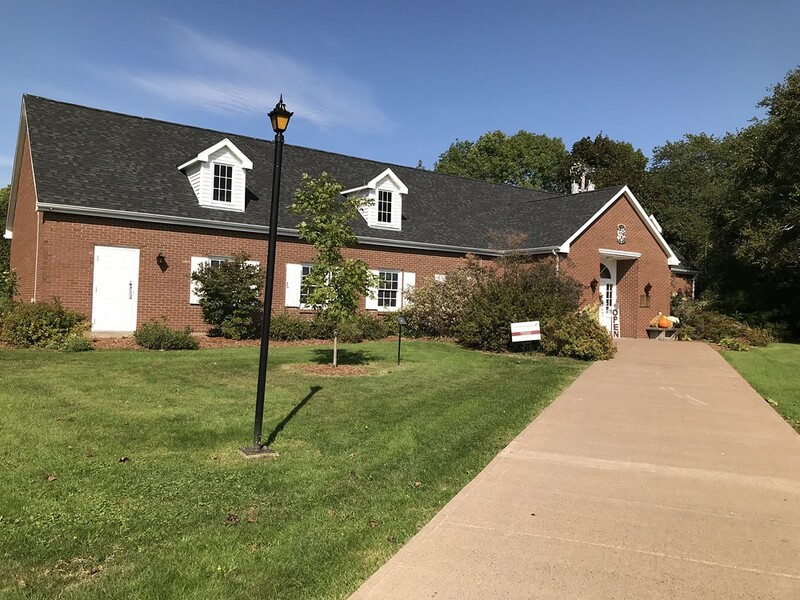 Since my temporary relocation to Pictou, “Birth Place of New Scotland”, I have gone by the sign and road leading to this museum at least once a day, every day. Finally, I decided to find out what it was all about and was surprised to find the museum driveway as soon as I turned onto the street. For some weird reason, I thought I’d probably drive a bit before arriving. There are two buildings on the grounds. The Pictou County Geneology Center is the first building. Here you can discover your Scottish roots, and they boast a lovely Scottish themed gift shop. If you’re looking for your Clan’s tartan Coat-of-Arms, there’s a good chance you can find them here. I did do a bit of sleuthing about my own Scottish background but quickly realized that it’s a time-consuming endeavour. I’ll go back on another day when I have more time. Scots began to emigrate to Canada in 1770, and to Pictou in 1773 with the arrival of the Ship Hector. If you think you may have roots going back to Canada’s Scottish emigrants this is a good place to start your research. The staff is friendly and helpful, and you can even hire them to help you find your long lost ancestors. On the day I visited, the centre was also housing a display of stunning handmade quilts. A short stroll up the hill finds you at the McCulloch House Musem. Purchase your ticket in the gift shop before leaving the genealogy centre. Five dollar admission or if you have a Nova Scotia Museum Pass you are good to go. There’s also a special rate for families. Check out the links below. 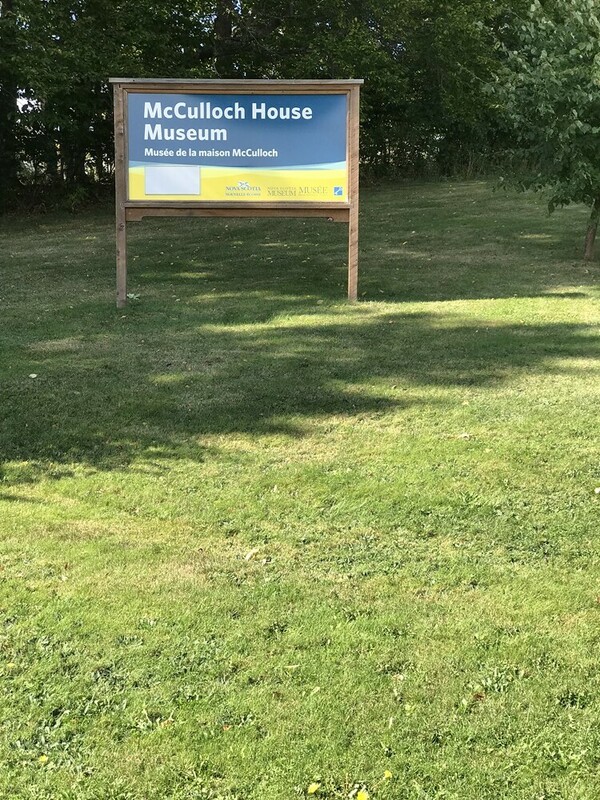 You may be wondering who the McCulloch is in McCulloch House Museum, and claim to fame in Nova Scotia history. McCulloch was a man, and his full name was Dr. Thomas McCulloch, who arrived in Pictou from Scotland in 1803. His final destination was supposedly Prince Edward Island, but he never made it. Instead, he and his wife Isabella raised and educated nine children in the “house on the hill”. He believed in education and is credited with establishing the Pictou Academy in 1816. He became the first president of Dalhousie College, now Dalhousie University, where I received my undergraduate degree. The low-tech interactive history exhibits are fun for both kids and adults, with lots of wee drawers to open and explore. The room that really piqued my interest (and not in a particularly good way) was McCulloch’s office. My immediate reaction was to blurt out “Oh, he was a taxidermist!” The lovely guide laughed and confirmed that taxidermy was a favourite hobby. McCulloch had trained to become a doctor (although never finished), I’m guessing he wouldn’t have been squeamish about stuffing dead critters. Apparently, at one point he decided to sell his collection. 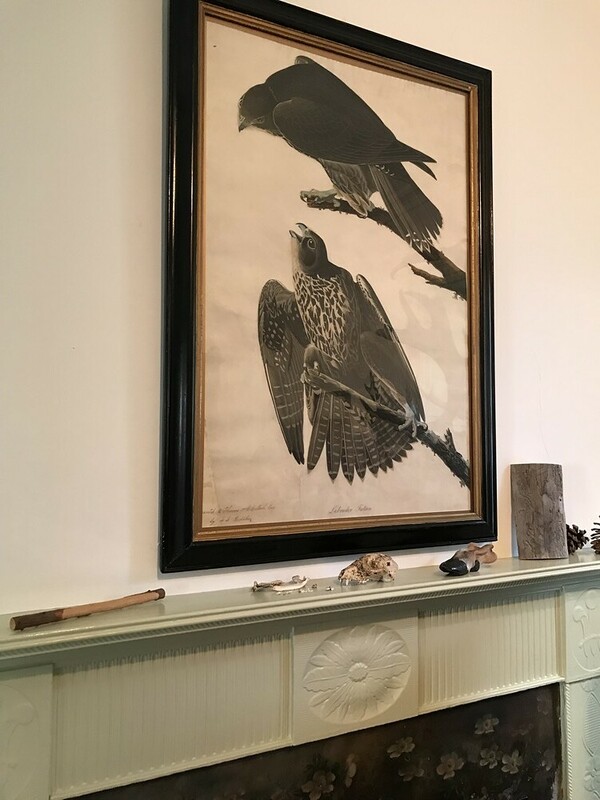 He became friends with the ornithologist and artist John James Audubon, who admired McCulloch’s specimens and skills. 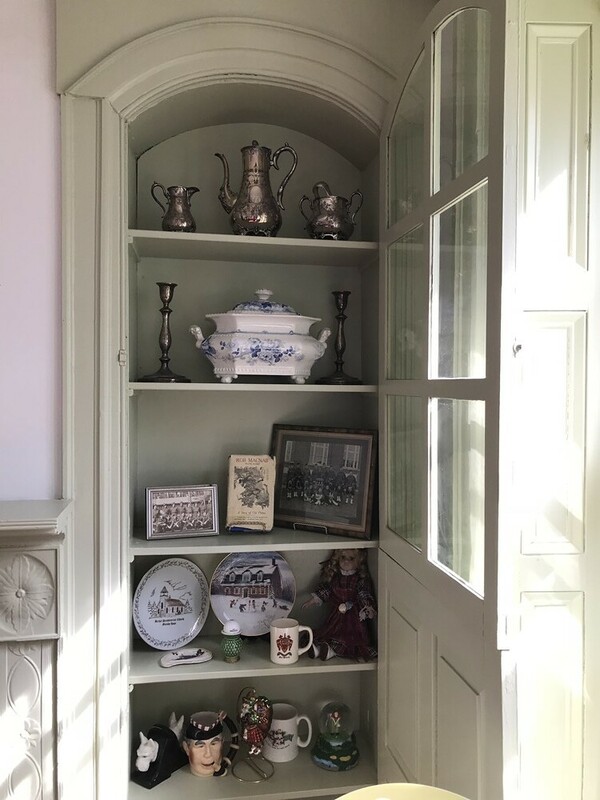 The collection was never sold and today you can view some of it here at the McCulloch House Museum, and also at Dalhousie University. All of the furniture in this room belonged to the McCullochs. I was impressed with the condition. I think the desk is fantastic. This signed photo hanging over the mantle was taken by James Audobon and gifted to McCulloch. The last owners of the house, before it was sold to the Nova Scotia Government, were a married couple. When the husband died the wife sold it to the province with the condition that she could live there until she passed. The wife would sit in one of the dormers on the top floor and watch the goings on in the harbour. She is credited with a big drug bust (the 1980s maybe). Apparently, she thought there was suspicious activity on one of the anchored boats and informed the RCMP. Sure enough, the boat was delivering drugs. According to the guide, it was a big bust. Back in the day, Nova Scotia was famous for its rum-runners, and now we have drug-runners. Serene was the first thing that came to mind when I laid eyes on the pond. 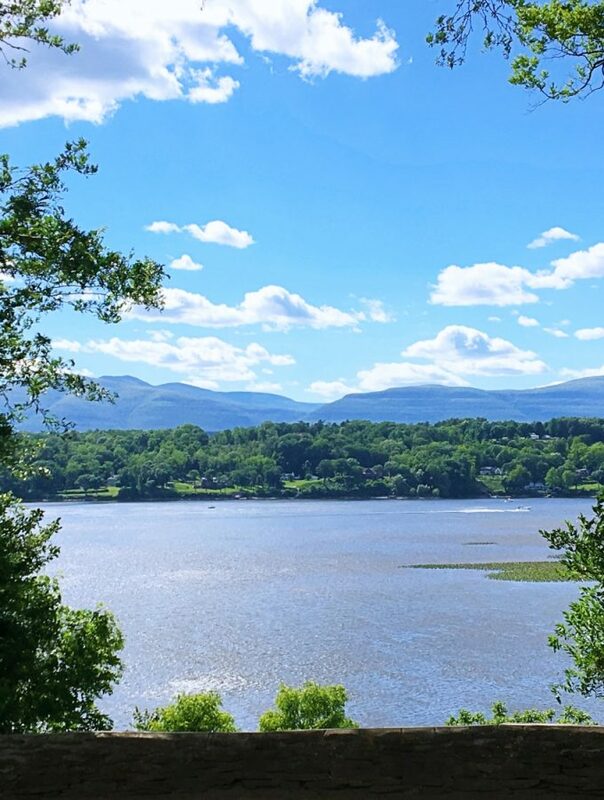 What a place to just sit and reflect, and even better when it’s a sunny warm day. OPEN: June 1 – OCT. 15: Mon. – Sat. 9:30 am – 5:30 pm/ Sun. 1:00 pm – 5:30 pm. The Geneology Centre is open Monday – Friday 9:00 am – 5:00 pm and they also have a website. Do you have a favourite small town museum you’ve visited in your travels? Let us know in the comments. Wow, I love the sight of those quilts. They look absolutely stunning! Loved that the previous owner thwarted a drug operation. I like to think of her sitting upstairs in the dormer window. It certainly looks like a lovingly maintained museum. What a cool museum and such a great service they offer to find ancestors. 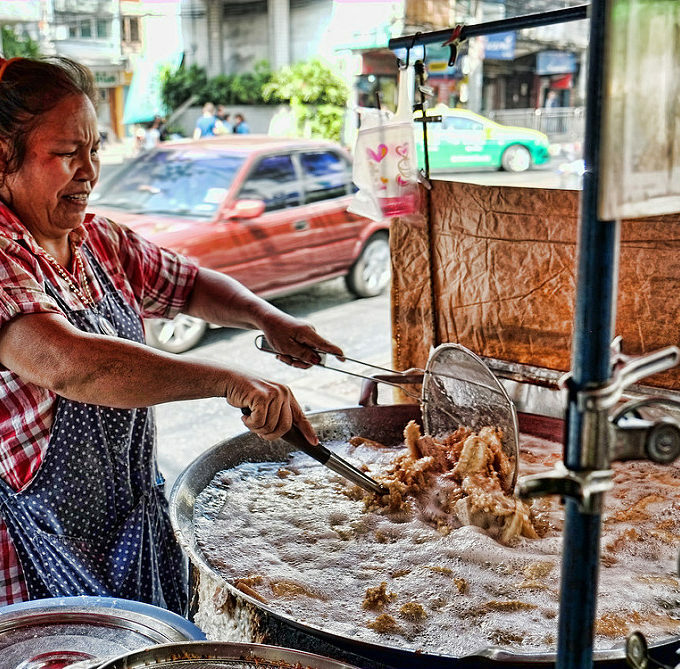 I love the history and backstory of the owners especially the drug busting lady. 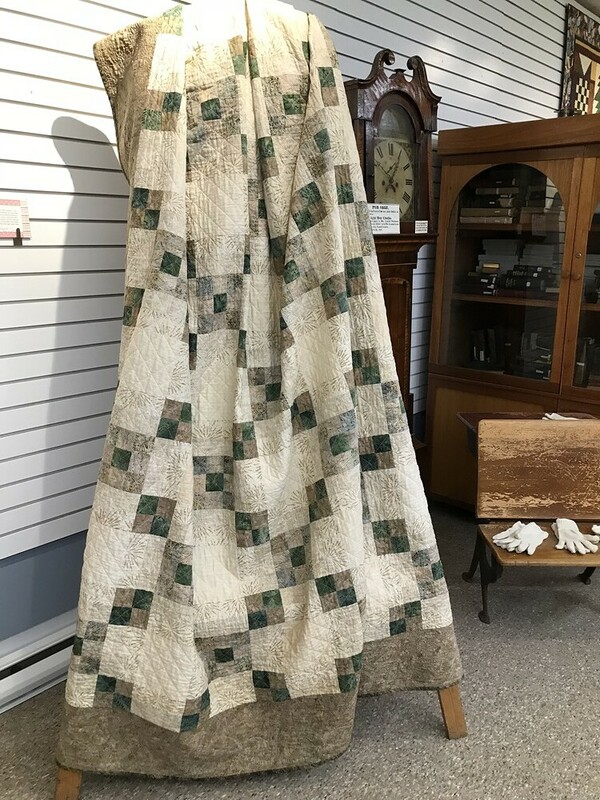 Those quilts are beautiful! Looks like a lovely place to visit. I love the soup turien in the cupboard and the beautiful quilts. 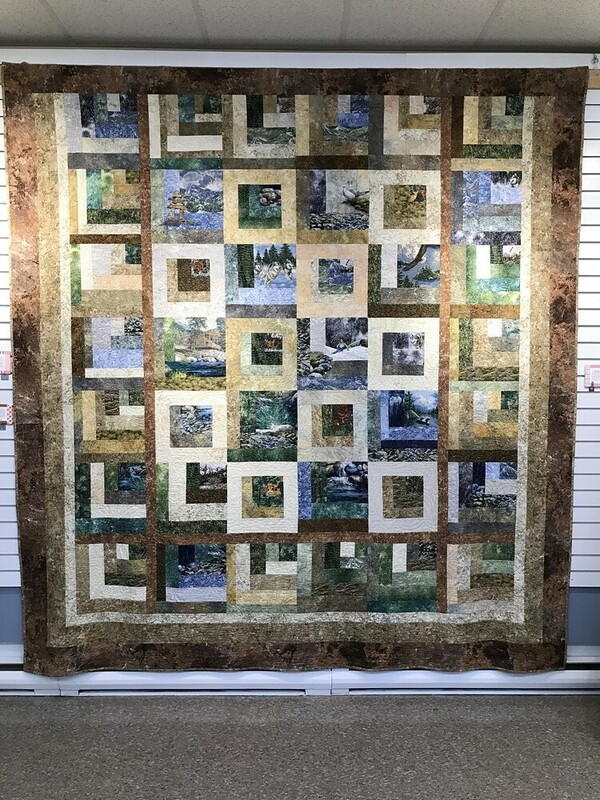 I am in awe of quilt makers combining all those materials to make a beautiful peace. What an interesting place. I love the quilts, the Audobon print and especially the story of the drug bust. Hope your blood pressure stops acting up soon! Interesting! I like museums like this. Kind of a coincidence since yesterday one of my coworkers was telling me about his Scottish roots. He told me where his family comes from and how they are able to track 600 years of family history on the country. That’s a lot of Scots! Do you have Scottish heritage at all Nancie? So unsettled yet am I that I just today remembered I’d forgotten my Thursday link up! And I can’t help but wonder how ‘unsettled’ those early day Scottish immigrants must have felt when they arrived in a new land. I have every modern convenience and still can’t get caught up with myself and my routines, I do admire their courage and sense of adventure!